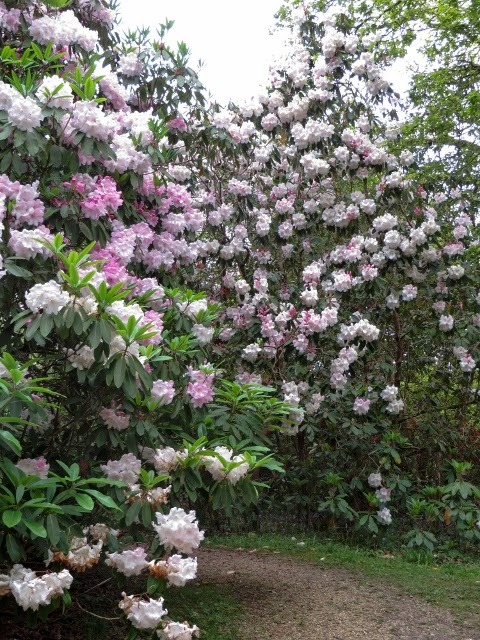 The beautiful Rhododendron Loderi are at their best at High Beeches Garden now. 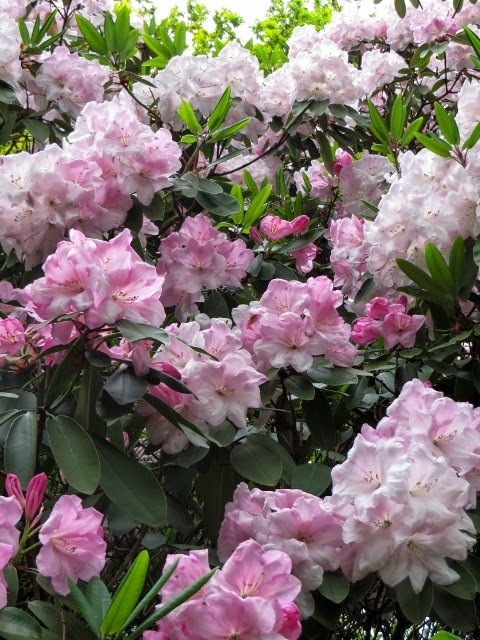 Covered in large highly scented blossom they dwarf the azaleas. 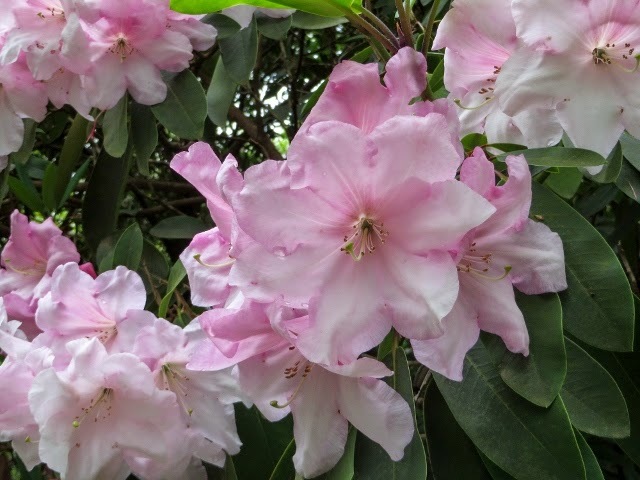 Rhododendron Loderi is a hybrid (Rh fortunei x Rh. griffithianum). 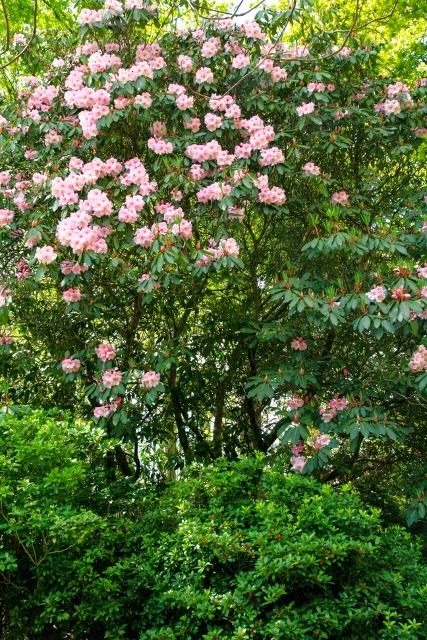 It was raised by Sir Edmund Loder of Leonardslee, uncle of Sir Giles Loder of High Beeches.